His Holiness Patriarch Kirill of Moscow and All Russia sent a message of greetings to Metropolitan Baselios Marthoma Paulose II on the occasion of his 70th birthday. The text of the letter is given below. Please accept my heartfelt greetings with your 70th birthday. The years of your service to God and the Church have been marked by numerous good achievements. 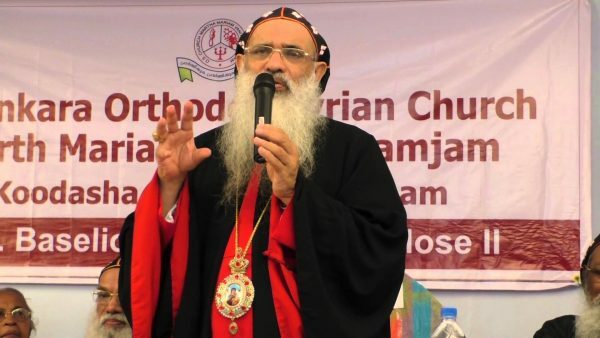 You are known as a zealous champion of the imperishable moral values, committed to the development of cooperation among Christians of various confessions and to interreligious peace in the land of India. I have warm recollections of my visit to India in 2006 and of my meeting with your esteemed predecessor, His Holiness Baselios Marthoma Didymos I, and hope that the fraternal ties between the Russian Orthodox Church and the See of the Holy Apostle Thomas will continue to strengthen. May the Lord preserve you in good health for many years.